The Nike Sportswear NSW Hoodie uses French terry fabric for a lightweight, comfortable feel. 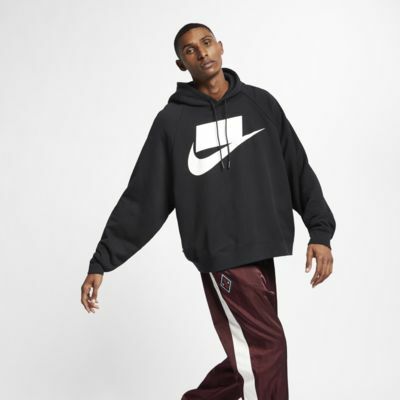 It has a boxy, loose fit and a bold Nike block logo on the chest. Boxy design and loose fit create an oversized, roomy cut. 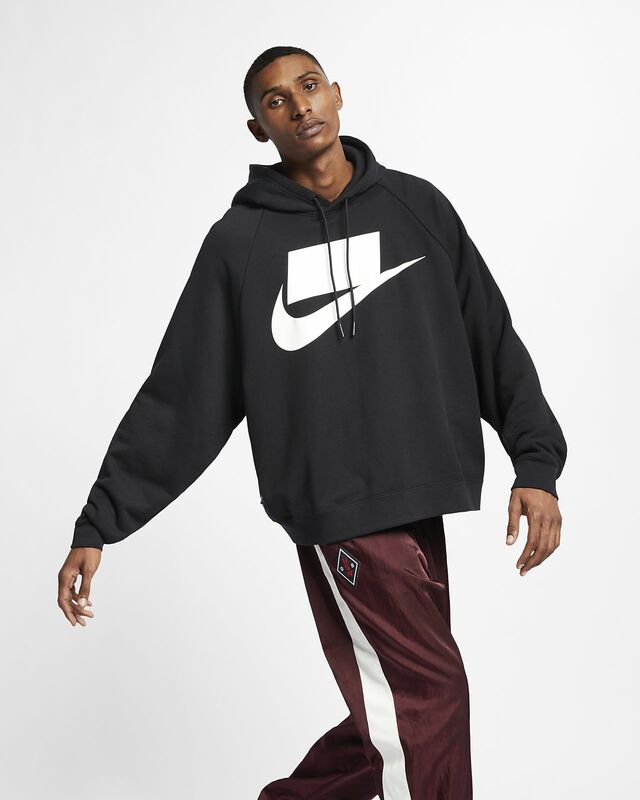 Oversized Nike block logo is screen printed on the chest. Fabric: Body/hood lining: 100% cotton. Bottom hem: 97% cotton/3% spandex.